I am not a professional photographer but can push a shutter button and retouch photos a bit. I am not a web designer but manage to make a website or 2. We usually sell flies and fly fishing gear but if we receive an offer of photography and image, why not take it? No photos or images may be copied, reproduced or published without our permission but unfortunately some people have done it, which makes us really upset and sad. Please do not use any of those without our authorization. If you want to use any photos or look for some photos, whether or not it is commercial, please feel free to contact us. 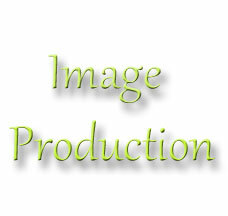 We can sell stocked raw JPEG photos and retouched images. Usually we don't stock Raw files. We burn a DVD and ship it to you. We cannot take epic photos but if you want you and your friends to be shot while fishing in the field, we come and do it for you. Retouching and resizing can be done at an additional cost. Transportation, fuel and accommodation cost may be needed. Full HD video can be shot with still photos. Don't hesitate to contact us. The cost is much lower than that of professional photographers. We have 2 friends who make a living as pro photogs in Tokyo. Their rate would be 30000-80000 yen for a full day shooting. Basic fee has to be pre-paid. Transportation, postage, communication expense may be quoted. Bear spray and bear bell will be supplied for no extra charge. Our SUV can be used. It is maintained and serviced by the excellent dealer. In case of accident, private car insurance covers your damage. Masa's driving license is Gold(top grade) with no accident/violation history record. But your items might not be covered when break-in happens by assholes.